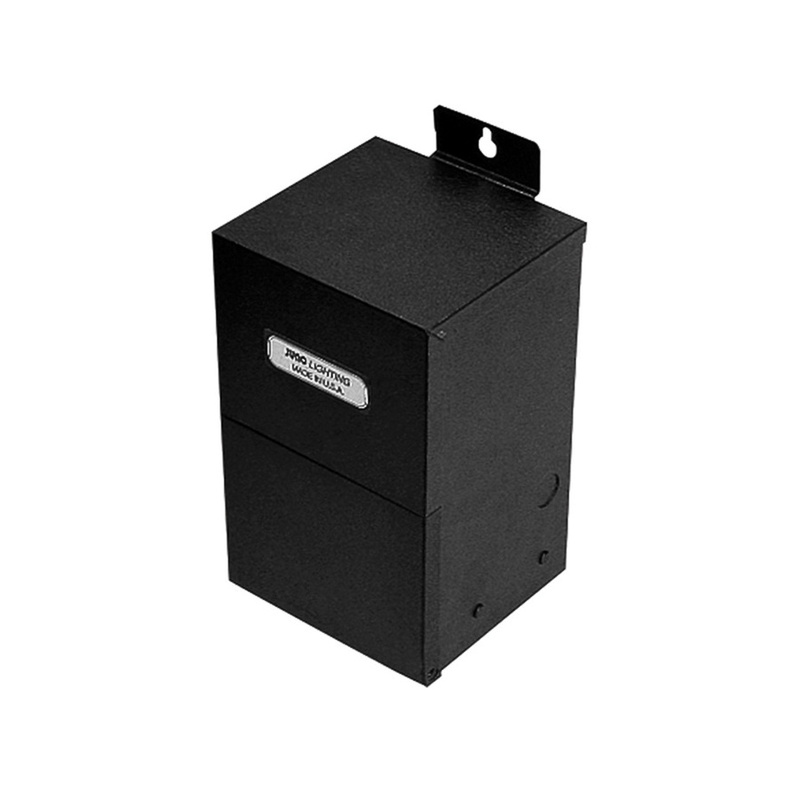 Juno Lighting Low-voltage magnetic transformer in black color, has primary voltage rating of 120-Volt AC and secondary voltage rating of 12-Volt AC. This single-circuit transformer has a power rating of 75-Watts. It has a dimension of 4-3/8-Inch x 4-1/8-Inch x 10-3/4-Inch. This remote mountable transformer features wire nut/terminal block. It has an ambient temperature rating less than 140 deg F. This transformer is suitable for medium to long run lengths and medium to high wattage systems. Transformer is UL/cUL listed.